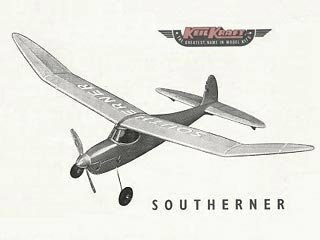 Southerner Major This comprehensive parts set includes all the shaped wood parts to build this beautiful 84" model. Formers with all the stringers slots, bulkheads, fuselage crutch parts, wing seat, wing ribs, dihedral braces, tip outlines for wing, tail and fin, plus smaller parts, such as sub fins, gussets. Suits 40 size 4 strokes or electric setups.